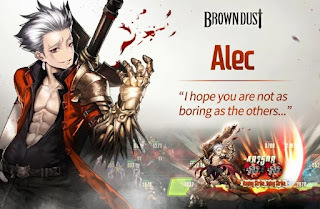 Brown Dust is an individual game or team, players are invited to adventure with unlimited teams. one of the heroes is angelica, glacia, alec and octavia. there is a battle arena between heroes, guild war, dungeon events, runes temple. the game produced by NEOWIZ gets 4.4 stars.